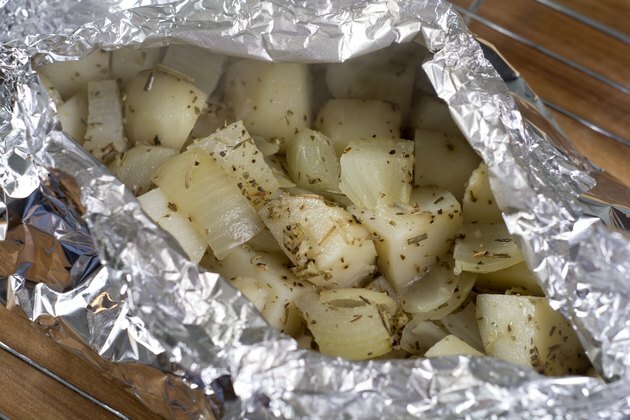 Foil packets filled with potatoes are a convenient side dish for the grill, but you can use the same method to prepare potatoes in your oven. 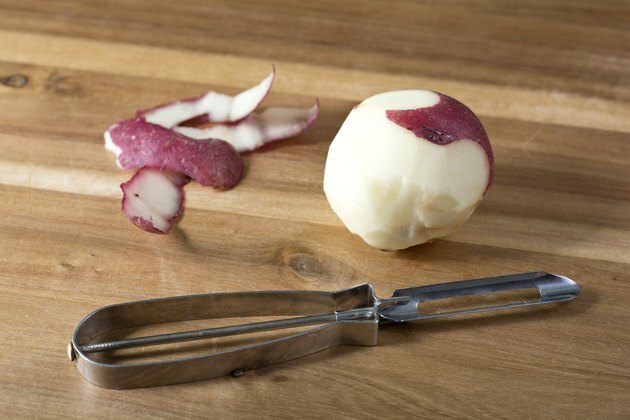 The tightly sealed foil packets lock in steam, allowing the potatoes to become creamy and tender. Best of all, cleanup is a breeze. Simply discard the aluminum foil and enjoy. Leave the tender skins on or remove them if you prefer. Foil packet potatoes are endlessly customizable, so get creative and add your favorite seasonings. Once the potatoes come out of the oven, top them with a dollop of sour cream, a scoop of salsa, crumbled bacon or some shredded cheese. Thoroughly wash the potatoes in cold water if you intend to leave the skins on. Otherwise, remove the skins with a vegetable peeler. 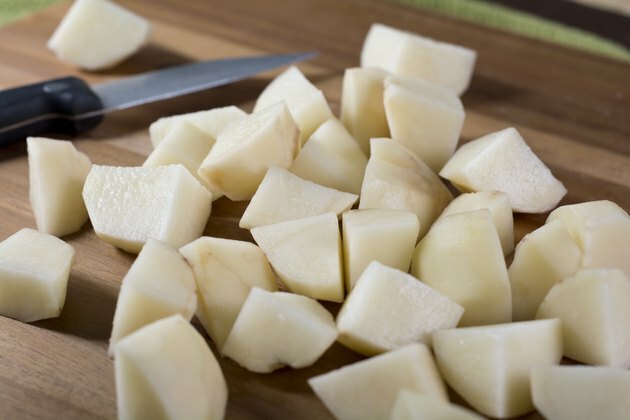 Cut the potatoes into 1-inch cubes or 1/2-inch thick slices. Transfer the cut potatoes to a mixing bowl. 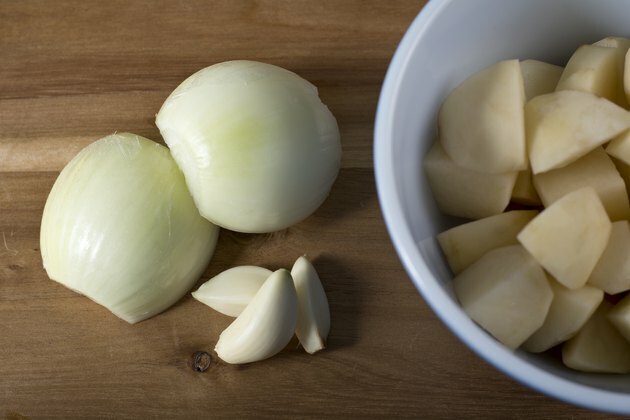 Add flavorful aromatics to the potatoes, such as thinly sliced or diced onions, bell peppers and minced garlic. 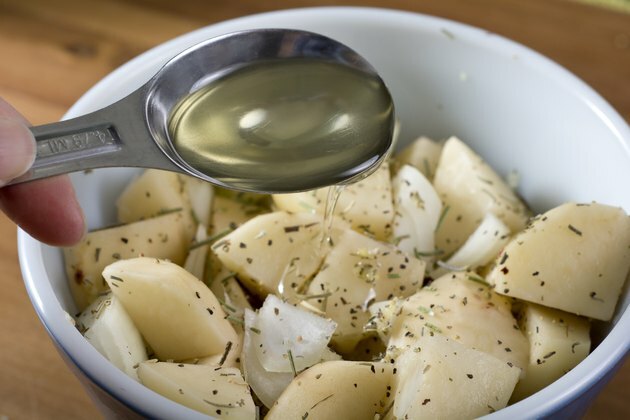 Add 1 tablespoon of olive oil or melted butter for every 1 pound of potatoes. 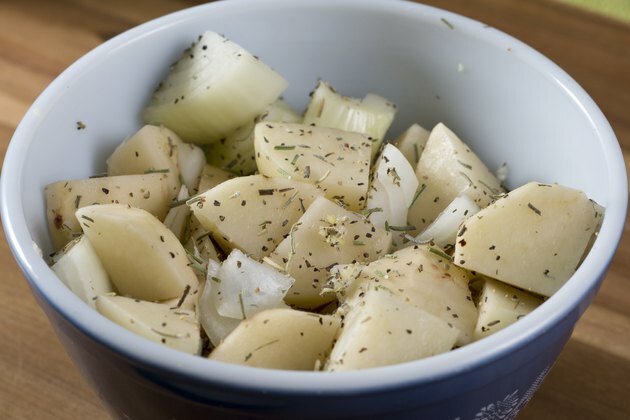 Toss the potatoes to evenly coat them with the seasonings and butter or oil. 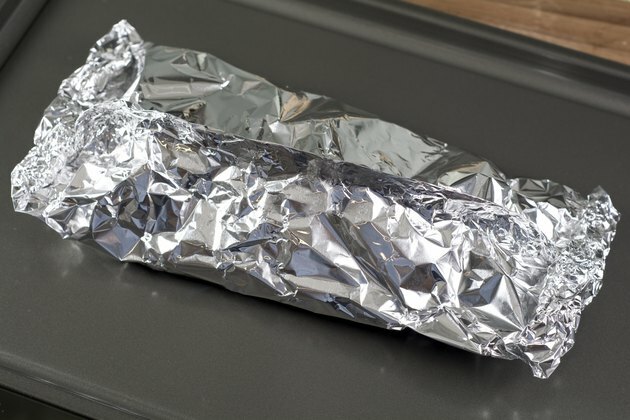 Tear a large sheet of heavy-duty aluminum foil and arrange the potatoes in the center of the foil. 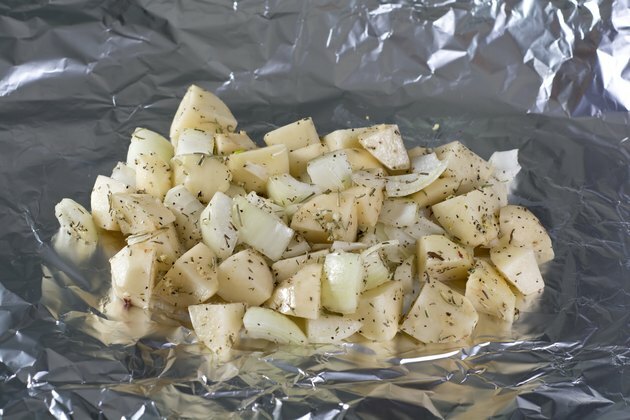 If you're making a large batch of potatoes, more than 2 pounds or so, divide the potatoes equally between two sheets of foil. Seal the foil packet tightly on the top and both ends. Leave some empty space when sealing the packet to allow the heat to circulate. 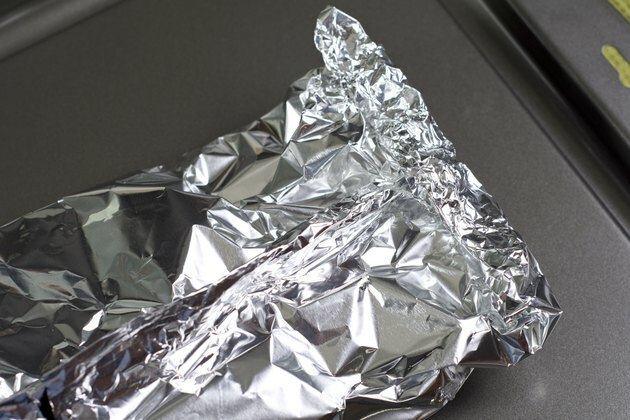 Place the foil packets, seam-side up, on a baking sheet. Transfer the potatoes to the oven and cook until the potatoes are tender, about 40 minutes. Open the packets carefully after baking to avoid injury from the hot steam or foil.